This entry was posted in Dental Practice Management on November 2018 by Adam Sweet. Is It Time to Look for a New Credit Card Payment Processor for Your Practice? This entry was posted in Dental Practice Management on July 2018 by Adam Sweet. You might be the most precise, well-liked, and well-educated dentist, but if your patients do not feel comfortable they’re not likely to return, or worse, they’ll reconsider seeking dental care altogether. For some, fear has become a routine part of the dental experience. Although this fear is unique to each patient, similarities can be seen from case to case. This entry was posted in Dental Practice Management on June 2018 by Jack Borgo. If you ask a dentist what is the greatest challenge their practice faces today, you are likely to hear new patient flow. This entry was posted in Dental Practice Management on June 2018 by Adam Sweet. 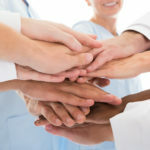 This entry was posted in Dental Practice Management on May 2018 by Rose Lanaro. Your dental practice lease can cost you more than it should. By following three recommendations for lease negotiations, you can ensure you are in the driver’s seat leading to lease terms that benefit your business. This entry was posted in Dental Practice Management on February 2018 by Jack Borgo. This entry was posted in Dental Practice Management on November 2017 by Rose Lanaro.